Coco Chanel revolutionized fashion with the creation of the little black dress. It's timeless, classic, and perfect for any occasion. Every girl needs this go-to hanging in her closet. Even if you already have one (or two or three), I believe you can never have too many. The "LBD" is one of those pieces you wear constantly, and having multiple styles to choose from is never a bad idea. So go ahead! Say "yes" to a little black dress! You could say I'm little black dress obsessed. I love styling outfits featuring the wardrobe staple. 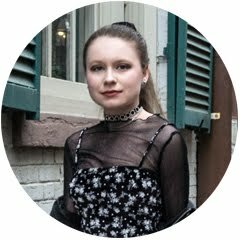 When DAILYLOOK asked me to be a part of their LBD Spring Break Style Challenge, I was thrilled. DAILYLOOK has so many LBDs to choose from but the one that really stood out to me is the RAGA x DAILYLOOK Lace Fit and Flare Dress. It's perfect for spring and summer and can easily be dressed up or down. I styled this versatile piece two ways: festival cool and fancy casual. Paired with espadrilles, a denim jacket, leather backpack and statement sunglasses, it's a look worthy of Coachella. If you're heading out for the night, wear the LBD with strappy wedges, a structured mini bag and jewel necklace. Whether you want to be festival cool or fancy casual, this LBD is the perfect fit for any occasion. 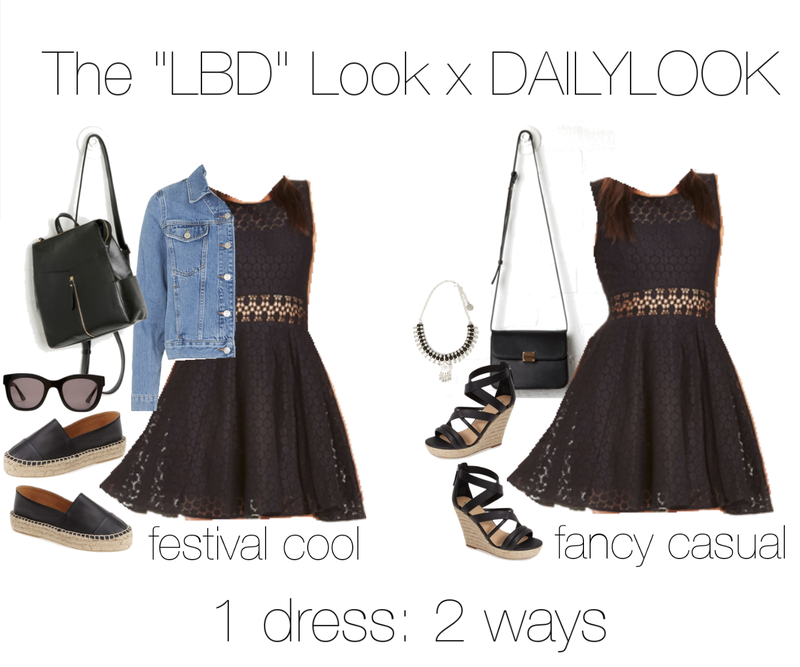 Get the LBD look with DAILYLOOK! Shop all of DAILYLOOK's little black dresses here.